York Suburban School District strives to provide a program of education that promotes the intellectual development of students to their fullest capacities. The District has developed a sound curriculum for grades K-12 and it is continuously reviewed and revised. Teachers are engaged in ongoing professional development to ensure that the best practices are used to deliver instruction to all students. York Suburban School District strives to engage all students in activities that promote positive nutrition and nutrition education. Whitson’s, the District food service provider has fully embraced the mandates set forth by the Healthy Hunger Free Kids Act. Additionally, the district has eliminated the availability of soda machines to students in the school buildings. Nutrition education is embedded in the Health and Wellness classes as well as Family and Consumer Sciences classes at the secondary level. The district continues to work toward the promotion of healthier eating outside of the school day. York Suburban School District strives to engage all students in activities that promote physical fitness. many clubs that involve fitness activities. York Suburban School District strives to provide for the social-emotional growth and development of all students. In addition to the daily work of the classroom teachers, the district counselors provide classroom education in a variety of areas to assist students in developing a positive self-esteem and appropriate peer relationships. Additional support is provided for students with particular social-emotional needs. The district maintains a commitment to teaching and supporting anti-bullying initiatives and activities and programs that engage students in healthy practices. * Work Smarter, Not Harder - Spend your work hours on difference-making tasks and you will have a greater impact and feel more satisfied. * Stay Focused - Part of working smarter is to work with more focus. Techniques for staying focused include meditation, breathing exercises, and developing compassion. Ultimately staying focused is an inside job requiring you to energize your mind. * Love What You Do - Choose to love your job and make that choice every day! * Feel Like A Million Bucks - If you’re dragging yourself into school every day, it’s going to be hard to have an impact. To make a difference you need energy, stamina, and vitality. In short, you must feel like a million bucks to make a difference. Breathe. Did you know you can trick your brain into thinking everything is fine with slow, deliberate breathing? Connect. Reach out and connect (or vent!) with your fellow teachers and co-workers and hold each other accountable for your self-care. Take a timeout. Schedule your timeouts during times of the day when you have no interruptions. Soon you’ll look forward to this mini-recharge. Move! Don’t pack up your stuff and get out of town; get your body moving. Even if you don’t have time for a formal exercise plan, you can see stress-relieving benefits from a minor activity like jumping jacks in your living room. Enjoy the great outdoors. Teachers don’t have a lot of time for long hikes or adventure trips, but being with nature can be as simple as taking a walk or stopping by a park after work. Step away from the device. Constant digital stimulation can increase your anxiety or sense that “you aren’t doing enough.” Put down your phone and schedule some no-tech time each week. Reflect. Think about all of the things for which you are grateful. Even when life is stormy, you can always find one bright moment. Create a comfort kit. For those days when you’re feeling particularly defeated, a comfort kit reminds you that everything will be okay. It can include anything you love, from your favorite tea to a note from your BFF. Stay cool and hydrated. Drink water, at least two to four cups (16-32 ounces) upon rising, and similar amounts if you are going out for activities and exercise. Carry water with you in a hard plastic container. While enjoying the sun and outdoors, protect yourself from overexposure to sunlight by wearing a hat and using natural sunscreens without excessive chemicals. Carry Aloe Vera gel for overexposure. * Keep up or begin an exercise program. Aerobic activity is important for keeping the heart strong and healthy. If you only work out in a health club, take some time to do outdoor refreshing activities -- hiking, biking, swimming, or tennis. Reconnecting with these activities will help keep your body and mind aligned. 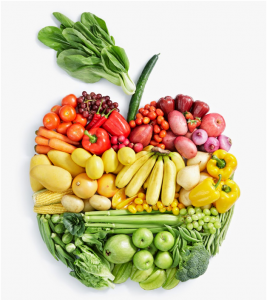 Enjoy Nature's bounty – fresh seasonal fruits and vegetables at their best. Consuming foods that are cooling and light -- fresh fruits, vegetable juices, raw vital salads, and lots of water -- will nourish your body for summertime activities. Include some protein with one or two meals. There are a number of light, nourishing proteins that don't require cooking. Most of these complement fruits and vegetables nicely-- nuts, seeds, sprouted beans, soy products, yogurt, kefir, and cottage cheese. Fish and poultry are also great. Take some special summer time with your family, kids, and friends who share the enjoyment of outdoors. Plan a fun trip if you're able and motivated for a day or longer -- hiking in the wild, camping, playing at the river, or a few days resting at the ocean. Relax and breathe. You've been working hard. This is the season to slow the pace a bit and absorb the light that stimulates your hormonal message center. Leave your cell phone at home or take a week off from TV. I hope your summer vacation is going well! The York Suburban School District recognizes that student wellness is related to students' physical well-being, growth, development, and readiness to learn. The board is committed to providing a school environment that promotes student wellness, proper nutrition, and regular physical activity as part of the total learning experience. In a healthy school environment, students will learn about and participate in positive dietary and lifestyle practices that will improve student achievement. Full policy is listed below. 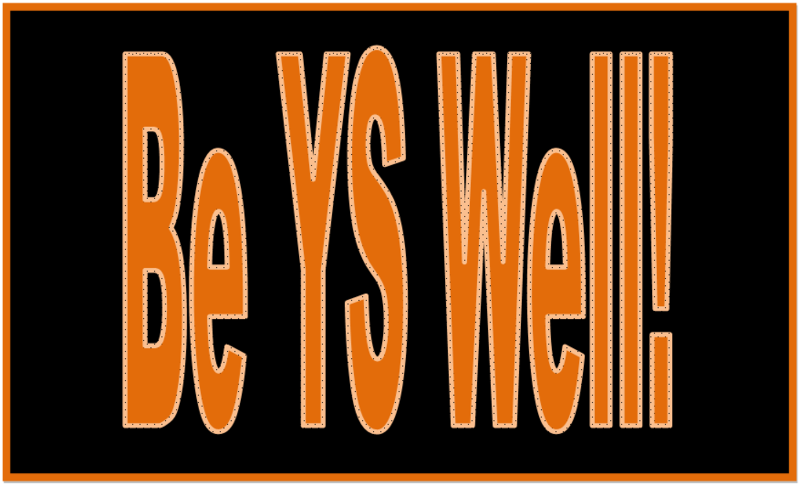 York Suburban School District recognizes that student wellness is related to students’ physical and social-emotional well-being, growth, development, and readiness to learn. The Board is committed to providing a school environment that promotes student wellness, proper nutrition, nutrition education, and regular physical activity as part of the total learning experience. In a healthy school environment, students will learn about and participate in positive dietary and lifestyle practices that can improve student achievement. In addition, the Board recognizes the importance of good mental health in the social-emotional development of its students and is resolved to addressing the needs of students. Support systems will be available to redirect problem behavior before it interferes with normal social, emotional and intellectual growth. The Board adopts the Student Wellness Policy based on the recommendations of the appointed Wellness Committee and in accordance with federal and state laws. Access to reasonable cost of foods and beverages that meet established nutritional guidelines. 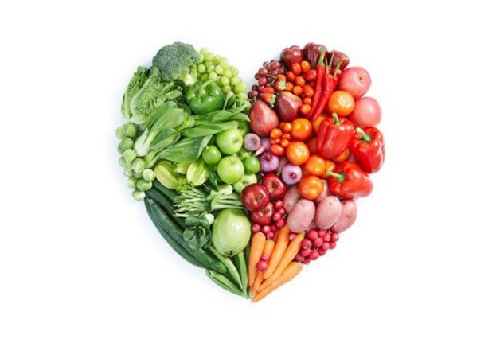 Curriculum and programs for grades K-12 that are designed to educate students about proper nutrition and lifelong physical activity, in accordance with State Board of Education curricula regulations and academic standards. Curriculum and programs for grades K-12 that are designed to support the social-emotional health and well-being of all students. Each building Principal or designee shall report to the Superintendent regarding compliance in his/her school on an annual basis. Staff members responsible for programs related to student wellness shall report to the building Principal regarding the status of such programs. The District shall annually inform and update the public, including parents/guardians, students, and others in the community, about the contents, updates and implementation of this policy via the District website, student handbooks, newsletters, posted notices and/or other efficient communication methods. This annual notification shall include information on how to access the School Wellness policy; information about the most recent triennial assessment; information on how to participate in the development, implementation and periodic review and update of the School Wellness policy; and a means of contacting Wellness Committee leadership. The Superintendent shall appoint a Wellness Committee comprised of at least one (1) of each of the following: School Board member, District administrator, District food service representative, student, parent/guardian, school health professional, physical education teacher, and member of the community. Safe drinking water shall be available and accessible to students, without restriction and at no cost to the student, at all meal periods and throughout the school day. All foods available in District schools during the school day shall be offered to students with consideration for promoting student health and reducing obesity. Classroom Parties and Celebrations: Parents/Guardians shall be informed through newsletters or other efficient communication methods that foods/beverages should only be brought in when requested for scheduled parties. The District shall assess and, to the extent possible, implement improvements to make walking and biking to school safer and easier for students. The District shall cooperate with local municipalities, public safety agency, police departments, and community organizations to develop and maintain safe routes to school. District administrators shall seek and utilize available federal and state funding for safe routes to school, when appropriate.